On October 5, 2003 Neil Postman, mass media and cultural critic, my former professor and friend, died. Postman was a Professor at New York University for more than 40 years where he also held positions as the Paulette Goddard Chair of Media Ecology and Chair of the Department of Culture and Communication. He wrote over twenty books and hundreds of published articles. He gave speeches around the world on the effects of media on our society. It was with great sadness that I heard of his death. However, I believe his writings will continue to speak to, and influence, those who are willing to listen. 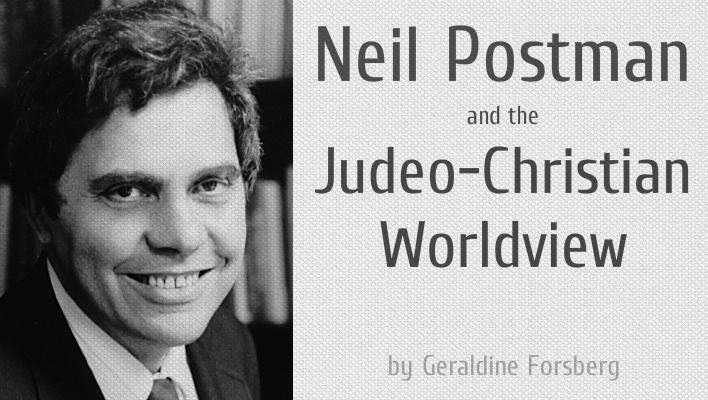 In this essay, I would like to examine the relationship between Neil Postman’s scholarly work and the Judeo-Christian worldview. Specifically, I would like to address the question, why did Professor Postman have such a receptive audience among the Christian community? In the latter part of his life, Postman was invited to speak at many evangelical Christian colleges including: Calvin College, Regent University in Virginia Beach, and Regent College at the University of British Columbia, Canada. He was also an invited speaker at the Vatican. Pastors and Christian leaders throughout the world have used his books as texts in discussion groups. The question I want to ask is, why has Neil Postman’s work resonated so strongly with religious people? It is my thesis that underlying Postman’s social and cultural criticism there is a strong Judeo-Christian worldview. That worldview gave power and clarity to his writing, speaking, and teaching. The Judeo-Christian worldview is revealed in many ways—first, by the themes of his research and writing; second, by the major sources he drew upon; and, third, by his underlying moral foundation for media and cultural criticism. the study of information environments. It is concerned to understand how technologies and techniques of communication control the form, quantity, speed, distribution, and direction of information; and how, in turn, such information configurations or biases affect people’s perceptions, values, and attitudes. Thus media ecology transcends several subjects of wider acceptance, including, for example, psychology and sociology, since it assumes that the psychology of people and their methods of social organization are, in large measure, a product of a culture’s characteristic information patterns (Teaching as a Conserving 167). Even though these research themes are merged in his study of media ecology, I’ve separated them out for the purpose of this analysis. I believe each of these themes is of particular interest to a Christian audience. Understanding the way in which we use and abuse language is a very important area of interest and concern for the devout Christian who draws upon the Biblical text for guidance and knowledge. The Bible has a lot to say about the power of language, the use of words, and the relationship between language, thought, and human behavior. The Psalmist admonishes us to speak the truth from our hearts and allow no slander on our tongues (Psalms 15: 2-3). If we follow this advice, we will never be shaken or come to calamity. The Apostle Paul warns of the consequences of meaningless language when he says, “Let no one deceive you with empty words, for because of such things God’s wrath comes on those who are disobedient” (Eph. 5:6). In the book of Matthew the writer states, “I tell you that men will have to give account on the day of judgment for every careless word they have spoken. For by your words you will be acquitted, and by your words you will be condemned” (Matt. 12:36-37). Paul writing to the Ephesians counsels “Do not let any unwholesome talk come out of your mouths, but only what is helpful for building others up according to their needs, that it may benefit those who listen (Eph. 4:29). In Proverbs we are told to think before we speak (Prov. 15:28). In the book of I Timothy we are warned to stay away from irrelevant disputes (I Tim. 1:3-4). And, in the book of James, we are told of the enormous power that language has and the damage the tongue can do (James 3:5-6). Devout followers of the Bible, therefore, are aware of the importance of the use of language. The relationship between our innermost thoughts, our heart condition, our attitudes, and the words we use to communicate, and the consequences of our communication are of interest to the growing Christian. Therefore, when Postman wrote about the uses and abuses of language in his book, Crazy Talk, Stupid Talk, he had an attentive Christian readership. When he stated in his essay, Defending against the Indefensible, “I think it might be possible for people to learn how to recognize empty, false, self-serving, or inhumane language, and therefore to protect themselves from at least some of its spiritually debasing consequences,” the Christian reader comes to complete attention (Conscientious 21). How can we become more conscious of our use of language? How can we teach our children to be critical evaluators of the messages being communicated in contemporary culture? How can we use words accurately, truthfully, fairly, justly, humanely? These were all questions Postman addressed and the Christian public was eager to hear the answers. Educational reform was another major focus of Postman’s research and writing. The Christian community has historically been concerned about the education and development of the young. The Bible provides the underlying rationale for education. In the Old Testament the writers tell us to teach our children to follow God (Exodus 10:2), to prepare children to fulfill God’s call on their lives (I Chron. 22:7-10), to train children in the way they should go (Prov. 22:6), and to instruct our children in faith (2 Tim. 3:15). Taking the Bible seriously, the education of the young became near and dear to the mission of the church. This was clearly acknowledged by Postman in his book, Amusing Ourselves to Death: Public Discourse in the Age of Showbusiness, where he summarized some of the achievements of the church in establishing our first colleges and universities in the United States. It is sometimes forgotten that the churches in America laid the foundation of our system of higher education. Harvard, of course, was established early—in 1636—for the purpose of providing learned ministers to the Congregational Church. And, sixty-five years later, when Congregationalists quarreled among themselves over doctrine, Yale College was founded to correct the lax influences of Harvard. (And to this day, claims it has the same burden). The strong intellectual strain of the Congregationalists was matched by other denominations, certainly in their passion for starting colleges. The Presbyterians founded among other schools, the University of Tennessee in 1784, Washington and Jefferson in 1802 and Lafayette in 1826. The Baptists founded among others Colgate (1817), George Washington (1821), Furman (1826), Denison (1832) and Wake Forest (1834). The Episcopalians founded Hobart (1822), Trinity (1823) and Kenyon (1824). The Methodists founded eight colleges between 1830 and 1851, including Wesleyan, Emory, and Depauw. In addition to Harvard and Yale, the Congregationalists founded Williams (1793), Middlebury (1800), Amherst (1821) and Oberlin (1833) (Amusing 55). If this preoccupation with literacy and learning be a “form of insanity,” as Coswell said of religious life in America, then let there be more of it. In the eighteenth and nineteenth centuries, religious thought and institutions in America were dominated by an austere, learned, and intellectual form of discourse that is largely absent from religious life today (Amusing 55-56). Possibly Postman’s most important critique of education came in his book, The End of Education: Redefining the Value of Schools. In that text, he addressed at least three major questions. First, what is the purpose of public education? Second, what erroneous stories have we been telling our children? And, third, what narratives can provide truthful, unifying, themes for our present educational system? In order to create a public that has a sense of purpose, meaning, and direction, Postman believed our public education must provide narratives which give students a sense of purpose and meaning. He said some of the most popular narratives of the twentieth century have, unfortunately, not provided an accurate understanding of reality. In fact, they are erroneous and have proven to be false gods. Some of these narratives are: Charles Darwin’s narrative of evolution, Karl Marx’s narrative of economic productivity, Adolf Hitler’s narrative of Nazism, and Sigmund Freud’s narrative of sexuality dominating rationality. All of these narratives have proven to be false and detrimental to the moral, ethical, and spiritual development of a public (End 19-36). Furthermore, Postman points out that many of the narratives, or false gods, which are currently esteemed in the public school system do not contribute to building up a confident, tolerant, giving, caring, and supportive public. Some of these false gods are: the god of economic utility which encourages students to learn in order to get a good paying job, the god of consumerism which tells students they are what they have accumulated, the god of technology which tells students that technology will be their savior, and the god of “multiculturalism” which tells students that the writings of dead, white, males are for the most part evil and obsolete (End 37-58). and Word Weavers (the fundamental importance of language in forging our common humanity) (End Afterword). These are essentially biblical narratives. The Bible tells us of our responsibility to be stewards over the earth. The Bible tells us that we are not perfect; we see through glass darkly. The Bible provides an understanding of human nature that underlies our democratic form of government. The Bible tells us that we are all unique, special in God’s eyes. God has created us in His image with the unique ability to create language—to communicate. These are powerful narratives which can form a strong foundation for public education. The tie between information and human purpose has been severed. Information is now a commodity that is bought and sold; it comes indiscriminately, whether asked for or not, directed at no one in particular, in enormous volume, at high speeds, disconnected from meaning and import. It comes unquestioned and uncombined, and we do not have, as Millay said, a loom to weave it all into fabric. No transcendent narratives to provide us with moral guidance, social purpose, intellectual economy. No stories to tell us what we need to know, and especially what we do not need to know (Science 3). …in the end, science does not provide the answers most of us require. Its story of our origins and of our end is, to say the least, unsatisfactory. To the question, “How did it all begin?”, science answers, “Probably by an accident.” To the question, “How will it all end?”, science answers, “Probably by an accident.” And to many people, the accidental life is not worth living. Moreover, the science-god has no answer to the question, “Why are we here?” and, to the question, “What moral instructions do you give us?”, the science-god maintains silence. It places itself at the service of both the beneficent and the cruel, and its grand moral impartiality, if not indifference, makes it, in the end, no god at all (Science 5). Postman understood that in order for education to meet the real needs of students, it needs to have a clear, coherent, moral and philosophical foundation. He also realized that a society needs a moral foundation. He realized that our modern day philosophies or theories about life have failed and he acknowledged that we need to reconsider the older narratives found in the Bible. A third major focus of research for Postman was media and social criticism. Following in the tradition of such writers as Eric Havelock, Harold Adams Innis, and Lewis Mumford, Postman was interested in how our technologies influence and change culture. His focus was on structures of communication and how structures of communication influenced the quality of our lives. In Amusing Ourselves to Death, he explained the questions which prompted his inquiry—questions which came from his early reading of the Old Testament. In studying the Bible as a young man, I found intimations of the idea that forms of media favor particular kinds of content and therefore are capable of taking command of a culture. I refer specifically to the Decalogue, the Second Commandment of which prohibits the Israelites from making concrete images of anything: ‘Thou shalt not make unto thee any graven image, any likeness of any thing that is in heaven above, or that is in the earth beneath, or that is in the water beneath the earth.’ I wondered then, as so many others have, as to why the God of these people would have included instructions on how they were to symbolize, or not symbolize, their experience. It is a strange injunction to include as part of an ethical system unless its author assumed a connection between forms of human communication and the quality of a culture. We must hazard a guess that a people who are being asked to embrace an abstract, universal deity would be rendered unfit to do so by the habit of drawing pictures or making statues or depicting their ideas in any concrete, iconographic forms. The God of the Jews was to exist in the Word and through the Word, an unprecedented conception requiring the highest order of abstract thinking. Iconography thus became blasphemy so that a new kind of God could enter a culture. People like ourselves who are in the process of converting their culture from word-centered to image-centered might profit by reflecting on this Mosaic injunction. But even if I am wrong in these conjectures, it is I believe a wise and particularly relevant supposition that the media of communication available to a culture are a dominant influence on the formation of the culture’s intellectual and social preoccupations (Amusing 9). The study of a culture’s intellectual and social preoccupations was the focus of Postman’s book, The Disappearance of Childhood. In this book, he discussed how the nature of childhood, the nature of adulthood, the nature of our families, is changing as a result of the change in our dominant forms of communication. He feared that children are becoming more like adults and adults are becoming more like children as television is making the same information available to all. Everyone can watch television regardless of age—one or one hundred. Television, unlike the printed word, does not require any educational instruction, it does not require skill development, its’ images are available to all regardless of prior learning. It is easy to grasp the image, images fascinate us, and images reach our emotions almost instantly. There is no doubt that the intellectual and moral character of our nation is changing as a result of the time we spend with media: video, television, film, the internet, and computer games. Our major forms of communication certainly influence the moral, social, physical, intellectual, and spiritual quality of our lives. 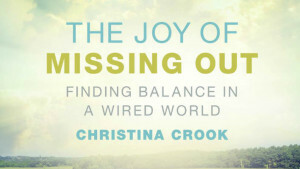 Thinking Christians are interested in understanding how media are changing our lives. There is an interest in understanding what kind of a relationship we should have with culture as well as what kind of effect media are having on our lives. Postman focused on these issues in his research and writing and, thus, he had a large following among Christian people. A fourth area of research interest for Postman was the relationship between technology and culture. Here he leveled at least two major criticisms in regard to technology that strike a chord with people of faith. Of course, to place anything in a position of god in our lives other than the one true living God, is blasphemy. It can happen so easily, however, and unless one is awakened to the fact that some object, person, or thing, is taking a god-like role in one’s life, it would be easy to continue in that condition. Postman served to awaken us to this danger. Second, he said that technology does not provide a moral foundation for culture. In his book, Technopoly: The Surrender of Culture to Technology he discussed the need for spiritual and moral frameworks for society and the problems which occur when a culture loses its moral foundations. I quote him at length here because I think this is such an important issue. …Scripture has at its core a powerful mythology that even the residue of that mythology is still sufficient to serve as an exacting control mechanism for some people. It provides, first of all, a theory about the meaning of life and therefore rules on how one is to conduct oneself. With apologies to Rabbi Hillel, who expressed it more profoundly and in the time it takes to stand on one leg, the theory is as follows: There is one God who created the universe and all that is in it. Although humans can never fully understand God, He has revealed Himself and His will to us throughout history, particularly through His commandments and the testament of the prophets as recorded in the Bible. The greatest of these commandments tells us that humans are to love God and express their love for Him through love, mercy, and justice to our fellow humans. At the end of time, all nations and humans will appear before God to be judged, and those who have followed His commandments will find favor in His sight. Those who have denied God and the commandments will perish utterly in the darkness that lies outside the presence of God’s light. To borrow from Hillel: That is the theory. All the rest is commentary. Those who believe in this theory—particularly those who accept the Bible as the literal word of God—are free to dismiss other theories about the origin and meaning of life and to give minimal weight to the facts on which other theories are based. Moreover, in observing God’s laws, and the detailed requirements of their enactment, believers receive guidance about what books they should not read, about what plays and films they should not see, about what music they should not hear, about what subjects their children should not study, and so on. For strict fundamentalists of the Bible, the theory and what follows from it seal them off from unwanted information, and in that way their actions are invested with meaning, clarity, and, they believe, moral authority. …Undeniably, fewer and fewer people are bound in any serious way to Biblical or other religious traditions as a source of compelling attention and authority, the result of which is they make no moral decisions, only practical ones. This is still another way of defining Technopoly. The term is aptly used for a culture whose available theories do not offer guidance about what is acceptable information in the moral domain. …Here, I am merely making the point that religious tradition serves as a mechanism for the regulation and valuation of information. When religion loses much or all of its binding power—if it is reduced to mere rhetorical ash—then confusion inevitably follows about what to attend to and how to assign it significance (Technopoly 78-80). In his writings on language, education, media, and technology, Postman was thinking about the importance, significance, and role of the Judeo-Christian faith. Some have said that Postman was a humanist with a positive attitude toward religion and religious people. There is no doubt that Postman had humanistic concerns about the role of technology in our lives. He made that very clear in a keynote address titled, “The Humanism of Media Ecology”, where he stressed the importance of examining the moral implications of technology. However, I think that underlying his humanistic concerns there was a strong moral framework that came from his Jewish heritage. As evidenced in his writings, his religious heritage became more and more important as he progressed in his career. Not only did the themes of his research resonate with a Christian audience, but at least three of the main sources he drew on for his ideas were thoroughly Christian. Those scholars were Walter Ong, Jacques Ellul, and Marshall McLuhan. Walter J. Ong, SJ (1912-2003) was a Professor of Humanities and Professor of Humanities in Psychiatry at Saint Louis University. He wrote twenty two books and hundreds of articles. As a Jesuit priest he not only wrote about theological issues but he also wrote about language, media, communication, and technology from a distinctly Christian point of view. His devout faith influenced his scholarship, his teaching, and it seems every aspect of his life. Some of his books which specifically related to theology and communication included, American Catholic Crossroads: Religious-Secular Encounters in the Modern World, The Pedagogy of God’s Image: Essays on Symbol and the Religious Imagination, Interfaces of the Word: Studies in the Evolution of Consciousness and Culture and The Presence of the Word: Some Prolegomena for Cultural and Religious History. A prolific writer and a seminal thinker in the humanities, Ong’s work has had a wide influence across the disciplines. In media studies, his most read book has probably been, Orality and Literacy: The Technologizing of the Word. In that book, he discussed the nature of thinking in an oral culture compared to the nature of thinking in a print-oriented culture. He explained how the introduction of writing totally restructured consciousness. Cognitive abilities and psychological dynamics have changed as we adopt new technologies of communication. And, as we have moved from a print-based culture to an image-based culture our cognitive and psychological dynamics are changing again. Walter Ong’s writings not only provided support for Postman’s ideas, but his work also provided a major theoretical framework from which Postman would ground his own ideas. A second individual who influenced Postman’s thinking and writing was Jacques Ellul (1912-1994). Ellul was a Professor of law and history at the University of Bordeaux. Ellul was also a noted theologian and lay member of the Reformed Church of France. He authored some 40 books and hundreds of articles over his lifetime. His main theme focused on life in a technological society. Many of his books, including: The Technological Society, Propaganda, and The Technological Bluff, focused on how technology is changing the way we live, the way we think, and the way we behave in our contemporary culture. The other possibility is that something exists that technology cannot assimilate, something it will not be able to eliminate. But this can only be something transcendent, something that is absolutely not included in our world. For the moment, I do not choose. I am simply saying that we are faced with this either/or. We are faced either with technology as our fate or the existence of a transcendent. The existence of this transcendent permits us to evaluate the world in which we find ourselves. If this transcendent really exists, then let us suppose it is the one that was Biblically revealed in Jesus Christ. If He came down to us, then He is not included in our system. We can then place ourselves where He situates us, that is, in His transcendence. This then gives us the outside vantage point that permits the critique of the system. This also guarantees freedom, because there is no kind of freedom that we can claim to have in relation to technology. We need a freedom that is given to us from the outside. We need a freedom that comes not from us, nor from what we do. Only the transcendent in the technological system guarantees freedom to humanity and a possible way out for society (Perspectives 101-102). Ellul’s work was read by Postman and had a definite influence on what Postman wrote about and the way he thought about media and technology. Ellul’s reflections on Jesus Christ and the role Jesus Christ plays in relation to our society could not have gone unnoticed by Postman. A third scholar who had a major influence on Postman was Herbert Marshall McLuhan (1911-1980). Marshall McLuhan has also been described as one of the most influential thinkers of our time. McLuhan held positions as an English professor at the University of Wisconsin, the University of St Louis, Assumption College, St. Michael’s College at the University of Toronto and as the Director of the Center for Culture and Technology at the University of Toronto. While working on his doctorate at Cambridge, McLuhan read G.K. Chesterton’s, What’s Wrong with the World. It was this book that created an interest in McLuhan in regard to the Christian faith (Federman 1). He went on to join the Catholic Church and became a devout follower of Jesus Christ (Nevitt and McLuhan 273-279). McLuhan’s works, The Mechanical Bride, The Gutenberg Galaxy, Understanding Media, and The Medium is the Massage: An Inventory of Effects written with Quentin Fiore were some of the major works which influenced Postman in the way he thought about media and technology. McLuhan’s primary focus on structure rather than content of media and technology was of immense interest to Postman who joined with him in this line of research. It should be noted here that Postman and McLuhan did have their differences regarding the analysis of media and moral development. From Postman’s perspective, he was interested in whether or not media and technology were making us better or worse. McLuhan was interested in merely knowing what media do. However, McLuhan’s work without any doubt was still a major influence on Postman’s ideas (Humanism 2). Ong, Ellul, and McLuhan were all devout Christians who have had a huge influence across disciplines as well as on the communication discipline. Their willingness to wrestle with the relationship of faith to an understanding of media and communication struck a cord with Postman. Whereas Walter Ong and Jacques Ellul explicitly examined the dynamics of faith in our contemporary society, Postman’s critique of media and technology was implicitly based on the Judeo-Christian worldview. All throughout Postman’s career he held a strong commitment to upholding the clear and coherent usage of language. Indeed, many of his early writings focused on language education. For example, The Uses of Language, Language and Reality, and Linguistics: A Revolution in Teaching were about the accurate, fair, and humane use of language. He understood well that the way we use language will to a large extent determine the way we live our lives. Our theories, philosophies, and worldviews shape the kind of society we create. It was logical, then, for Postman to go on in later years to critique the societal shift away from a print-oriented culture to an image-based culture. He was concerned about this shift for at least two major reasons. First, he understood the enormity of the radical shift in worldview. He understood that when a new technology, of any kind, enters a culture you no longer have the old culture plus the new technology. Indeed, you eventually have an entirely different culture. To illustrate this point, Postman used the example of food coloring in water. If you put a drop of food coloring in a glass of water, the food coloring does not just sit there in a ball. No, it filters down throughout the water and changes the entire consistency of the water. It is the same with a new technology. A new technology does not merely enter a culture and become just another part of it. It changes the entire culture it enters. It changes the way we think, the way we behave, the way we communicate. Everything in the culture is influenced since the symbolic environment in which we live is altered. As Postman analyzed the shift to the technologized image, he was analyzing how our thinking, behavior, communication, values, and total way of life is changing. Second, Postman thought that as we move away from a print-based culture to an image-based culture we are losing more than we are gaining. He stated this adamantly, “I will say once again that I am no relativist in this matter, and that I believe the epistemology created by television not only is inferior to a print-based epistemology but is dangerous and absurdist” (Amusing 27). According to him, a focus on television and image-oriented media takes away from our intellectual, emotional, moral, and spiritual foundations. It also takes away from our abilities to use language. This was a major concern for Postman because, as he stated, it is language alone that allows us to think critically, challenge, dispute, and cross examine. It is language that makes us distinctly human (Amusing 9, 78). As I have already discussed, language is integral to the Judeo-Christian worldview. Other belief systems certainly share the concern for the uses of language but only the Judeo-Christian faith makes the following claims regarding the word. First, the Judeo-Christian faith claims that the world came into existence through the spoken word of God. Through the spoken word God created the world and all that is in it. And, through the spoken word God established a relationship with mankind. According to the Biblical account, the world will eventually pass away, but God’s word will endure forever. In the beginning was the Word, and the Word was with God, and the Word was God. He was with God in the beginning. Through him all things were made; without him nothing was made that has been made. In him was life, and that life was the light of men. The light shines in the darkness, but the darkness has not understood it (John 1:1-5). And, third, the Judeo-Christian faith claims that the abstract word became concrete. God, the Word, took on human form, and became visible to the world. “The Word became flesh and made his dwelling among us” (John 1:14) The God of the Bible is not a distant, aloof, and uninvolved force. The God portrayed here is involved with the creation of the world, with communicating to human beings, and with speaking to individuals today. The word is central, then, to human existence according to the Judeo-Christian worldview. For without the word there would be no world, there would be no relationship with a living God, and there would be no hope for a future. The Word of God as well as language enables us to learn, to grow, and to develop as human beings. Postman’s religious background enabled him to critique the movement away from the word from a powerful moral and spiritual position. This same position led Jacques Ellul to write his book, The Humiliation of the Word. Postman was concerned that the media worldview keeps our attention focused on the present. As we watch technologized images, we neither remember the past nor consider the future. Television and other visual media foster an image-oriented culture where people develop a very present-oriented mindset and tend to either neglect or forget what has taken place historically. We become more focused on our immediate situation rather than with what the future holds. In his book, Building a Bridge to the Eighteenth Century: How the Past Can Improve Our Future, Postman articulated clearly his appreciation of the legacy of past generations, especially the eighteenth century which, as he said, gave us inductive science, notions of religious and political freedom, ideas about popular education, thoughts about rational commerce, and concepts of the nation state (Building, 17-18). It was from the eighteenth century that we inherited the writings of Goeth, Voltaire, Rousseau, Diderot, Kant, Paine, Jefferson, Adams, and Franklin. And, it was from the eighteenth century that we were blessed with the music of Beethoven, Bach, Handel, Mozart, and Haydn. From the eighteenth century we received a world-view where the universe was conceived as orderly, rational, and comprehensible (Building 18). In his critique of postmodernism and deconstructionism, Postman encouraged us to reconsider the values and morals passed on to us from the eighteenth century, and, to reevaluate the values being passed on to us through technology. An historical perspective on media and culture is seen in most of Postman’s writings—certainly in his later books. Evaluating the present based on the past, Postman revealed his understanding of the importance of history. He had a real concern about the direction our current society is taking—a society focused on the here and now with little regard for traditions, founding principles, established definitions of social institutions, and moral frameworks for decision-making. The Judeo-Christian worldview is based on an historical account. The Biblical narrative is a collection of writings about what has taken place throughout history. The Bible communicates the experiences of human beings–their weaknesses, their failures, their calamities, their victories and triumphs. It reveals how God works in the everyday lives of men and women. The Bible also gives us a sense of place, a sense of time. Indeed, our calendar is divided into B.C. (before Christ) and A.D. (after Christ died). These markers help us to understand where we are positioned in history. Furthermore, the book of Revelations gives us a glimpse of the future. In that book, we are given knowledge of the future so that we can know how to better live our lives today. The past, the present, and the future are all important in the Christian worldview. The Judeo-Christian worldview asks us to remember. Over and over throughout the Bible, the message is remember the past, remember those who have gone before you, remember the words of the Lord. In our contemporary culture we focus so much of our attention on the present that we tend to forget the past. Postman was trying to awaken us, to warn us, to prompt us to think more consciously about what our technological environment is doing to our understanding and appreciation of history. Postman was also very concerned about what is becoming of our minds and rationality in a technological society. According to him, television does not foster a critical response but an emotional response. As he discussed in The Disappearance of Childhood, “Television, to put it simply (and, I fear, repetitiously), does not call one’s attention to ideas, which are abstract, distant, complex, and sequential, but to personalities, which are concrete, vivid, and holistic” (Disappearance 101). Television calls forth an emotional response—we either like or dislike what we see on TV but we don’t tend to think critically about it. Postman goes on to explain the effects of an emotion based form of communication on politics. What this means is that the symbolic form of political information has been radically changed. In the television age, political judgment is transformed from an intellectual assessment of propositions to an intuitive and emotional response to the totality of an image. In the television age, people do not so much agree or disagree with politicians as like or dislike them. Television redefines what is meant by “sound political judgment” by making it into an aesthetic rather than a logical matter (Disappearance 101). The shift from a print-based culture to an image-based culture, from rationality to emotion, has had an effect on politics, religion, and education. This was discussed at length by Postman in Amusing Ourselves to Death. The Judeo-Christian worldview stresses the importance of the mind. Throughout the Bible the importance of reason, judgment, discernment, discretion and understanding is communicated. In Isaiah we read, “‘Come now, let us reason together,’ says the Lord” (Isaiah 1:18). And from Proverbs we read, “My son, preserve sound judgment and discernment, do not let them out of your sight” (Prov. 3:21). “Discretion will protect you, and understanding will guard you” (Prov. 2:11) Christians, according to the Bible, are supposed to develop their reasoning abilities. Anything that takes away from our mental faculties, takes away from what God intended us to be. I should go so far as to say that embedded in the surrealistic frame of a television news show is a theory of anti-communication, featuring a type of discourse that abandons logic, reason, sequence and rules of contradiction. In aesthetics, I believe the name given to this theory is Dadaism; in philosophy, nihilism; in psychiatry, schizophrenia. In the parlance of the theater, it is known as vaudeville (Amusing 105). The Biblical worldview gives us a sense of order, coherence, and purpose. We learn about order and the importance of order both from God’s divine revelation and from natural revelation. In the book of Ecclesiastes, the writer communicates the importance of orderliness, timeliness, and appropriateness. a time for war and a time for peace (Eccl. 3:1-8). Postman longed for a return to order, logic, and coherence. He knew that in order to have a sane society these qualities were necessary. Postman was also concerned about the movement away from true authentic community. In his book, Building a Bridge to the Eighteenth Century, he made numerous observations about how the Internet is adding to the demise of authentic community. It is necessary to keep in mind here—especially for those who believe e-mail and the Internet provide new opportunities for community—that we too easily confuse simulations with reality; that is to say, electronic community is only a simulation of community. A real, functional political community requires the nuance and directness of the human voice, face-to-face confrontations and negotiations with differing points of view, the possibilities of immediate action (Building 153). As we move away from a print-based culture into the age of new media, we have moved away from traditional views and definitions of community. This is of concern for Postman, I believe, at least in part, because of his Judeo-Christian heritage. The Judeo-Christian worldview emphasizes authentic community. We need to be accountable to one another, we need to help each other, rejoice when others rejoice, weep when others weep, strengthen each other, encourage one another, build each other up. Postman understood that this type of authentic community is impossible on the Internet and very difficult to develop in our media age. Postman’s critique also focused on the fact that we are moving away from a culture of care to a culture that is desensitized to the pain and suffering of others. It is certainly a fact that the crime rate has gone way up in our image driven culture. Postman discussed the problem of crime in his book, The Disappearance of Childhood. He attributed the escalating rate of crimes by children to the fact that children have access to the same viewing material that adults have access to (Disappearance 134-136). As people are immersed in a world of graphic, violent, and dehumanizing visual images, people are becoming numb to the reality of real human pain and suffering. We are rapidly losing a moral and ethical core which can guide us in our human behavior. As we move from a print-based culture into an electronic age, we are moving farther and farther away from our Judeo-Christian foundations. Postman’s critique of media also focused on the passive nature of television watching. He was concerned that we have moved from an age of creativity in music, art, literature, crafts, indeed, all human endeavor, to an age of increasing passivity. The world of images especially commercial television has added to our passive state. As people spend on the average of 5 hours and 45 minutes a day watching television they are not developing their unique skills, abilities, or talents. Postman was especially worried about the way television is educating the young. It is attention-centered, non-punitive, affect-centered, present-centered, image-centered, narration-centered, moralistic, non-analytical, non-hierarchical, authoritarian, contemptuous of authority, continuous in time, isolating in space, discontinuous in content, immediately and intrinsically gratifying (Teaching 68). Postman’s analysis of television as a curriculum compared with the school curriculum helped us to better understand the power television has to educate our children. Postman was concerned about the development of both analytical and creative thinking. The Judeo-Christian worldview also emphasizes both. God, our creator, is a creative God and He has created us in His likeness as creative people. Postman knew that our contemporary image-oriented media are robbing us of our creative abilities. The scientific revolution in the eighteenth century was, as much as anything else, a revolution in language. One might even go so far as to say that Enlightenment philosophers, natural and otherwise, discovered a method of using language that provided a truer representation of reality than had previously been known. And it was done by defining “true representation” as propositions susceptible to verification. Propositional language is the heart of exposition, as is the assumption that there exists an intelligible world of non-words; that is to say, “Reality.” Exposition proceeds under the further assumption that propositions (the world of words) can describe reality (the world of non-words), and that when this is done with clarity, logic, and rigor, it is possible to uncover the structure of reality with enough approximation to understand how it works. These assumptions produced spectacular results in science and, of course, still do (Building 61). The shift from a typographic, word-based, culture to an image-based culture, from reality to fantasy was of intense concern to Postman. As he explained, “Life, then, becomes a stylized, edited media event, and it is not inconceivable that in the “completeness” of our immersion in media, we come to prefer media life to reality itself” (Teaching 80). The Biblical worldview is based on the fact that there is both a temporal and an eternal reality. If one violates the principles of the natural universe there are consequences. If one neglects the principles of the spiritual universe there are also consequences. There is a knowable reality. Postman was concerned about both the philosophical movement away from an understanding of reality as well as the immersion in the media world of fantasy. Postman was also concerned that we are moving into an era when personality and celebrity are becoming more important than character. According to him, “Show business is not entirely without an idea of excellence, but its main business is to please the crowd, and its principal instrument is artifice. If politics is like show business, then the idea is not to pursue excellence, clarity or honesty but to appear as if you are, which is another matter altogether” (Amusing 126). The Judeo-Christian worldview places an emphasis on the inner person rather than on appearance. In I Peter the author, writing to the Christian women in Asia Minor, writes, “Your beauty should not come from outward adornment, such as braided hair and the wearing of gold jewelry and fine clothes. Instead, it should be that of your inner self, the unfading beauty of a gentle and quiet spirit, which is of great worth in God’s sight (I Pet. 3:3). You must display a new nature because you are a new person, created in God’s likeness—righteous, holy, and true. So put away all falsehood and tell your neighbor the truth because we belong to each other. And don’t sin by letting anger gain control over you…If you are a thief, stop stealing. Begin using your hands for honest work, and then give generously to others in need. Don’t use foul or abusive language. Let everything you say be good and helpful, so that your words will be an encouragement to those who hear them…Get rid of all bitterness, rage, anger, harsh words, and slander, as well as all types of malicious behavior. Instead, be kind to one another, tenderhearted, forgiving one another, just as God through Christ has forgiven you (Eph. 4:24-26a, 28-29, 31-32). Thus, the Judeo-Christian world view emphasizes who we are and who we are becoming. It is a worldview which provides a strong basis for critique of our fascination with celebrity and image. Postman’s critique of visual media, therefore, included the fact that we are a culture absorbed with appearance. As we watch television we often pay more attention to what a person is wearing, what their hair looks like, how much they weigh, and other outward attributes rather than what the person is saying. What a person thinks and believes is lost under the shadow of their image. In other words, as we are immersed in an image world we are staying at a superficial level rather than being concerned with matters of substance. According to the Judeo-Christian worldview, substance is important. The inner person is more important than outward appearance. As communicated in the book of I Samuel, “… the LORD said to Samuel, ‘Do not consider his appearance or his height, for I have rejected him. The LORD does not look at the things man looks at. Man looks at the outward appearance, but the LORD looks at the heart” (I Sam.16:7). Postman critiqued the visual image because it keeps us focused on outward appearance rather than matters of substance and character. There is very little the culture wants to do for children except to make them into consumers. A child is someone who has money to buy things. . . The whole idea of schooling, now, is to prepare the young for competent entry into the economic life of a community so that they will continue to be devoted consumers. To put a pseudo-religious dimension on it, we might say that the theory behind all of this argues that the surest way to earn God’s favor is to buy things, and it doesn’t matter how old you are (Building 125-126). It also came to be believed that the engine of technological progress worked most efficiently when people are conceived of not as children of God or even as citizens but as consumers—that is to say, as markets… Into this void comes the Technopoly story, with its emphasis on progress without limits, rights without responsibilities, and technology without cost. The Technopoly story is without a moral center. It promises heaven on earth through the conveniences of technological progress. It casts aside all traditional narratives and symbols that suggest stability and orderliness, and tells, instead, of a life of skills, technical expertise, and the ecstasy of consumption. Its purpose is to produce functionaries for an ongoing Technopoly (Technopoly 42;179). The Judeo Christian worldview stresses altruism or giving to others. According to the Biblical worldview, we have received so much we should freely and generously give to others. As is written, “Remember this: Whoever sows sparingly will also reap sparingly, and whoever sows generously will also reap generously. Each man should give what he has decided in his heart to give, not reluctantly or under compulsion, for God loves a cheerful giver” (2 Cor. 9:6-7). Within the TV curriculum there is no deferred gratification. Perhaps the most powerful bias of television is, in fact, its stress on immediate gratification, for television has no need to put its learners on “hold” with a view toward later intellectual or emotional satisfaction. TV does not require you either to remember or anticipate anything….It is a nonhierarchical, analogic information system based on immediate emotional response, there is no future, or sense of continuity, or need for preparation. The pleasure of total comprehension and involvement is immediately accessible. The Kingdom of God is of this world, now, and not of any other, later (Teaching 60). For this very reason, make every effort to add to your faith goodness; and to goodness, knowledge; and to knowledge, self-control; and to self-control, perseverance; and to perseverance, godliness; and to godliness, brotherly kindness; and to brotherly kindness, love. For if you possess these qualities in increasing measure, they will keep you from being ineffective and unproductive in your knowledge of our Lord Jesus Christ (2 Pet.1:5-8). The Christian life is one of discipline, growth, and sacrifice. A culture that emphasizes immediate gratification undermines the Judeo-Christian worldview. Postman, through his writings, made us aware of the power of the media to attack our fundamental core values. In his book, Amusing Ourselves to Death, Postman critiqued the cultural move toward social, intellectual, emotional, and spiritual death. As we are immersed in entertainment we are slowly dying just like the proverbial frog placed in a pan of water on a warming burner. The water warmed to boiling so slowly that the frog did not even know that it was being cooked to death. Our environment has also changed slowly. The change began in the nineteenth century and slowly we have been adapting to the changing environment. Children born today know of no other communication environment. They were born into the world of television, computer games, and the Internet. Postman believed that unless we make known to them another world, a world of language and history, a world of reason, logic, and order, a world of true authentic community, a world of care and creativity, they will never know this world. And, the world as we have once known it will be no more. In his last two books, The End of Education: Redefining the Value of School and Building a Bridge to the Eighteenth Century: How the Past Can Improve Our Future, Postman strongly emphasized the importance of finding a moral foundation for our lives, our educational institutions, and our society in general. Without a narrative which will give meaning, purpose, vision, direction, and hope, our future looks very bleak indeed. As people of faith, we have been entrusted with a worldview that the culture desperately needs. We have the opportunity and the task of making the Biblical worldview explicitly known in our world today. Postman understood the Biblical worldview which had been passed on to him through his Jewish heritage. And he knew intuitively that much of our contemporary image-dominated society was at war with the Biblical worldview. His critique of language, education, media and technology had power and resonated strongly with people of faith because they could hear the voice of reason, the voice of God’s Truth. Neil Postman, through the themes he chose to write about, the sources he chose to draw upon, the underlying presuppositions he chose to believe in, and which informed his writing, passed on a body of work that will speak to us for years to come. Chesterton, G.K. What’s Wrong with the World. Dodd, 1910. Ellul, Jacques. The Humiliation of the Word. Trans. Joyce Main Hanks. Grand Rapids: Eerdmans, 1985. Life and Work. Ed. William H. Vanderburg. Trans. Joachim Neugroschel. New York: Seabury, 1981. —. Propaganda: The Formation of Men’s Attitudes. Trans. Konrad Kellen and Jean Lerner. New York: Knopf, 1968. —. The Subversion of Christianity. Trans. Geoffrey W. Bromiley. Grand Rapids: Eerdmans, 1986. —. The Technological Bluff. Trans. Geoffrey W. Bromiley. Grand Rapids: Eerdmans, 1990. —. The Technological Society: Trans. John Wilkinson. New York: Vintage, 1964. Federman,Mark.“Marshall McLuhan” U of Toronto: McLuhan Program in Culture and Technology. June 1, 2004. http://www.mcluhan.utoronto.ca/marshal.htm. McLuhan, Marshall. Understanding Media: The Extensions of Man. New York: McGraw, 1964. McLuhan, Marshall and Quentin Fiore. The Medium is the Massage: An Inventory of Effects. New York: Bantam, 1967. —. The Mechanical Bride: Folklore of Industrial Man. New York: Vanguard, 1951. —. The Gutenberg Galaxy: The Making of Typographic Man. U of Toronto P., 1962. Nevitt, Barrington and Maurice McLuhan. Who Was Marshall McLuhan?” Exploring a Mosaic of Impressions. Toronto: Stoddart, 1995. Ong, Walter J. American Catholic Crossroads: Religious –Secular Encounters in the Modern World. New York: Macmillan, 1959. —. Interfaces of the Word: Studies in the Evolution of Consciousness and Culture. New York: Cornell UP, 1977. —. Orality and Literacy: The Technologizing of the Word. London: Methuen, 1982. —. The Pedagogy of God’s Image: Essays on Symbol and the Religious Imagination. Ed. Robert Mason. Chico: Scholars Press, 1982. —. The Presence of the Word: Some Prolegomena for Cultural and Religious History. Minneapolis: Minnesota UP, 1981. Postman, Neil. Amusing ourselves to Death: Public Discourse in the Age of Show Business. New York: Viking, 1983. —. Building a Bridge to the Eighteenth Century: How the Past Can Improve Our Future. New York: Knopf, 1999. —. Conscientious Objections: Stirring up Trouble about Language, Technology, and Education. New York: Knopf, 1988. —. Crazy Talk, Stupid Talk. How we Defeat Ourselves by the way we Talk and what to do About it. New York: Dell, 1977. —. The Disappearance of Childhood. New York: Vintage, 1982. —. The End of Education: Redefining the Value of School. Knopf, 1995. —. “The Humanism of Media Ecology” Media Ecology Association, Inaugural Convention. New York, NY, 16 June 2000. —. Language and Reality. New York: Holt, 1966. —. Linguistics: A Revolution in Teaching. New York: Dell, 1966. —. “Science and the Story that we Need.” First Things 69 (January 1997): 29-32. —. Teaching as a Conserving Activity. New York: Dell, 1979. —. Technopoly: The Surrender of Culture to Technology. New York: Knopf, 1992. —. The Uses of Language. New York: Holt, 1965. The Holy Bible. New International Version. Grand Rapids: Zondervan, 1984. This article was originally published in the Journal of Communication & Religion; November 2005, Vol. 28 Issue 2, p252. Sometimes I tire of technology criticism. 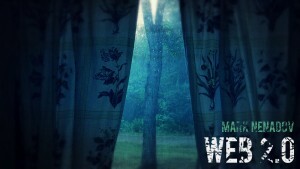 It’s like screaming at the rain and the wind. You make a good point John, that we often think of technology as something natural. Hence the name – Second Nature. We are interested in technology criticism precisely because technology is *not* nature. Just because people confuse technology with nature does not mean technology *is* nature. It also means that we have the agency to decide what kind of technological environment to create or not create, which I think is the most important role of technology criticism.